About Tax & Service Solutions B.V.
Tax & Services Solutions B.V. was founded on the belief that we can assist expatriates filing their Dutch tax declarations in an easy, accessible and professional way but above all at very competitive fees. It is our team’s mission to provide you a service in a personal, reliable and transparent way. During our years of experience in financial services we sensed a need for a reliable, easy-to-access, and above all affordable service for expats in Dutch tax matters. Many tax advisors charge clients extortionate fees! This is often because they have to charge enough to cover their expensive overhead costs. We believe that this is outdated! The internet provides us with the opportunity to help all our clients all over the world in a personal and professional way without needing to pass on overhead costs and without compromising on quality! 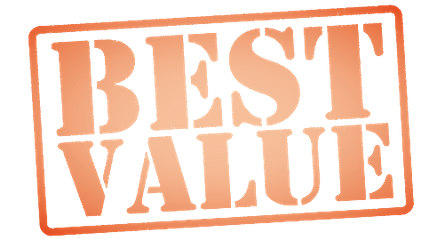 Therefore, at Tax & Service Solutions B.V., you are always guaranteed the best value for money in the Netherlands. You can find out here what our clients have to say about us. We work paperless as much as possible. Unfortunately, it is not always possible to send forms and documents to the Dutch tax authorities digitally. Therefore, we are sometimes forced to use paper. 98% of our work is done paperless!! Because we want to keep our costs as low as possible to achieve the best value for money, we don’t have a visiting address. However, if you would like to meet us in person we are always willing to visit you at a time and place that suits you best. All our Dutch tax declarations are available in English, German or Dutch, so that you are able to understand your declarations without a language barrier. This is one of our ways of being transparent. We are able to serve most of our clients by email and telephone to their satisfaction. We always answer your emails within 24 hours. If we are not able to answer your telephone call and you leave a message, we guarantee you will be called back the same day. This is one of our excellent service standards.